A Creative Approach to Teaching Science is filled with exciting and innovative ways to teach and meet the objectives for primary physics, chemistry and biology from Years 1-6. A Creative Approach to Teaching Science is filled with exciting and innovative ways to teach and meet the objectives for primary physics, chemistry and biology from Years 1-6. Each idea has been tried and tested, used in the classroom with children of the relevant age range, and all are deep rooted in practical enquiry with clear links to the statutory requirements for primary science. 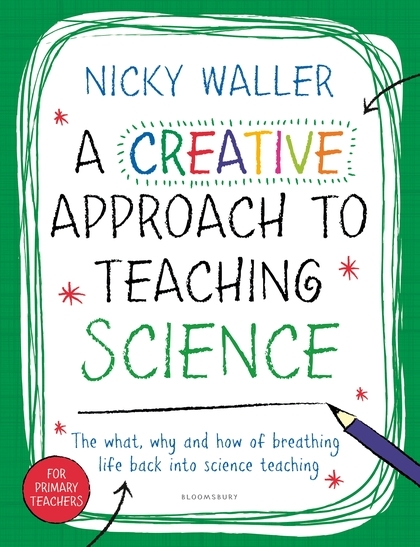 This book is jam-packed full of strategies and ready-made ideas with a creative edge, aimed at engaging children and encouraging them to think critically and scientifically, and to consider key scientific topics in real life scenarios. This book is a must-have for teachers looking to inspire their pupils, and making sure they have fun along the way.